It seems the Charlotte Hornets (21-27) have found some chemistry despite the injury issues that have dogged the team all season. Charlotte finds themselves in the seventh spot in the eastern conference playoff picture after posting a 10-4 record in the month of January to lift themselves out of the doldrums of the league. They also have a very favorable schedule leading up to the leagues All-Star break in mid-February so hopefully they will continue their string of success to carry some momentum into the break. The Cavs blew the doors off the Hornets in Cleveland, 90-129, in what was an ugly game from the start. The Cavs were in the middle of an offensive surge and they immediately pounced on the streaking Hornets, who had won eight of nine leading up to this contest. There isn’t much to say about this game except for it seemed that the Hornets were just in the wrong place at the wrong time….it happens in the league like that sometimes. Next up the Hornets hosted the New York Knicks, minus star forward Carmelo Anthony. The Knicks roster was loaded up with mostly no-name players (three of New York’s starters were currently on 10-day contracts) but they clearly remembered the Hornets stomping them out on their home court just a couple weeks earlier. 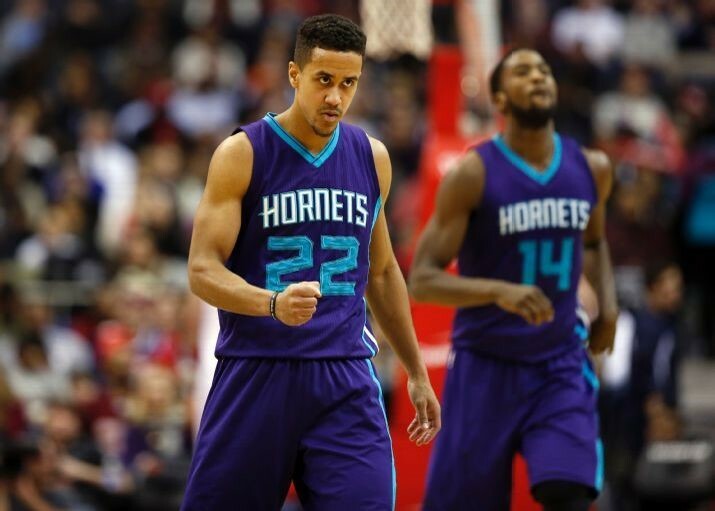 This game wasn’t a high scoring affair by any means, yet the Hornets were able to get a victory in a 76-71 win behind point guard Brian Roberts’ 17 points. After that the team traveled to San Antonio to face the Spurs for the second time in two weeks. They came up short, 86-95, despite keeping the game close after making a nice run in the third quarter. The Hornets didn’t have an answer for Spurs guard Tony Parker, who effectively got to the middle against the slower Roberts. Next the Hornets traveled to Denver for another meeting with a struggling Nuggets team. The first matchup between these two teams was a blowout and this one was no different as the Hornets took a 32-point lead into the locker room at halftime. Cody Zeller scored 14 points in the first quarter and finished with a career high 21 for the game. And this past Monday, the Hornets traveled to our nation’s capital to face a strong Wizards team that has been in an offensive funk as of late. This game was particularly entertaining throughout the contest, but the Hornets showed their toughness in holding off Washington for a 92-88 victory over their southeastern conference opponents. Big Al is back to his old self, consistently putting up strong numbers and carrying this team on his back from the left block. Most recently, Jefferson scored 18 points and grabbed 12 rebounds against Washington, tallying his team-high 13th double-double of the season. In his seven contests since returning to the lineup after a nine-game absence due to a groin strain, Jefferson has scored in double figures five times and is averaging 14.3 points and 8.7 rebounds. MKG is developing into a fantastic player for the Hornets, giving the team an added touch of hustle and energy on both ends of the floor. Kidd-Gilchrist has scored in double figures in five straight games, tying the longest streak of his career, and he is averaging 11.6 points and 9.1 rebounds over his last 17 games, which include 13 double-figure scoring games and six double-doubles. It seems that Lance “Born Ready” Stephenson is finding his niche with the team as well, averaging 7.2 assists over his last seven games. He handed out a career-high 13 assists on Jan. 31 against Denver. It’s encouraging to see this kind of production out of Stephenson, as his improved play (and improved body language) has shown that he may yet be a cognitive piece to the Hornets puzzle. The blowout loss in Denver allowed us to get a decent look at Noah Vonleh. The seldom used rookie played 16 minutes and responded with a career high 10 points, seven rebounds to go with two blocks in what was easily the best game of his career. Hopefully this will serve as a confidence builder for the young forward and maybe he is finally getting up to speed where he can be productive moving forward. When Kemba went down for a minimum of six weeks because of knee surgery, trade rumors began to swirl around the team; some scenarios being more ridiculous than others. But it looks like the Hornets already had an answer on their roster in Roberts, who has filled in admirably in Walker’s absence. Roberts has starting experience from his days in New Orleans, where he filled in at times due to injuries, and that was what made him particularly appealing to the Hornets this offseason. Roberts may not have the defensive speed that Walker provides, but he takes care of the ball and also brings a nice scoring touch. Speaking about taking care of the ball, Charlotte is committing the fewest turnovers in the NBA this season, averaging just 11.7 per game. Charlotte also enters tonight’s game allowing the fewest offensive rebounds in the NBA (8.5) and leading the league in defensive rebound percentage (.799). Combine that with what has developed into one of the leagues stingiest defenses, and its easy to see where the Hornets recent success has come from. As I mentioned earlier in the article, the Hornets have a favorable schedule leading up to the All-Star break. 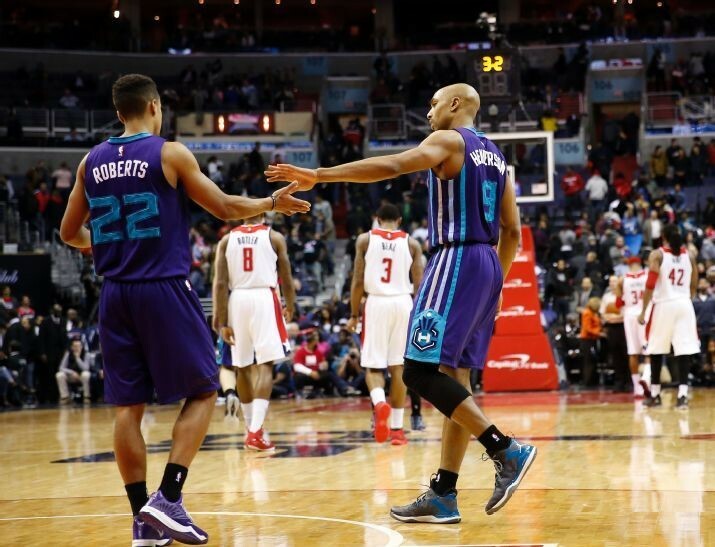 First the Hornets will face a familiar opponent in the Wizards at the Hive in a Thursday night matchup. 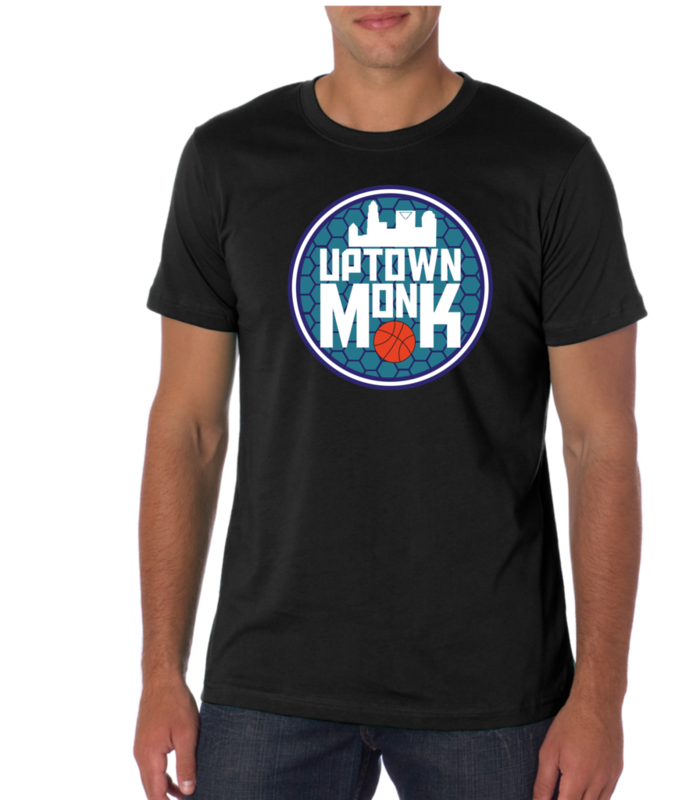 Washington will surely have a bad taste in their mouth following Mondays defeat against the Hornets, but they will also be on their second game of a back to back after losing to the Hawks on Wednesday night for their fourth consecutive loss. This should be a scrappy game, with the Hornets trying to stay hot and the Wizards trying to right the ship in an important southeastern division matchup. The Hornets then travel up north to Philadelphia to face the 76ers on Saturday night. The last time these two teams met, the Hornets ran away 109-91 as Philly played listlessly all night long. Nothing much has changed for the 76ers, as they rank dead last in scoring and in the bottom third of the league in most offensive and defensive categories. Look for Charlotte to come out strong and finish this team off early; this should be a win but it could also be a trap game for the Hornets. Indiana comes to the Hive on Sunday for another matchup in what has been a hard fought series so far this season. Both games have been scrappy, low scoring affairs with the Pacers taking the first game in Indiana on a last second tip-in and the Hornets winning in OT here in Charlotte just a few weeks ago. Look for the same type of game between these two teams this time around, as both teams are near the top of the league in defense and rebounding. The last game before an extended 10-day rest for the Hornets is a matchup against the Detroit Pistons. The Pistons enjoyed a surge of wins in January as well but then lost starting point guard Brandon Jennings to a season ending injury. In steps former Charlotte point guard D.J. Augustin, who always seems to find himself in the right place at the right time as a fill-in for injured starters. Augustin has played fantastic as Detroit’s starting point guard and will surely being playing hard against the team that drafted him in the city where he was once the starting point man. The Pistons have a strong frontcourt, and it shows in their rebounding numbers. With a schedule like this, it’s easy to see the Hornets going 4-0 or 3-1 into the break. The extended break after the All-Star weekend amounts to a bye week for Charlotte and will serve to give the Hornets time for healing and fine tuning what has worked for them so far this season. What was once looking like a lost season is now beginning to look like what we had expected coming into this year. The Buzz is Back Hornets fans! Until next time, KEEP BUZZING!! !